AB Dynamics has released v8.00 of its Robot Controller software for the track testing product range. 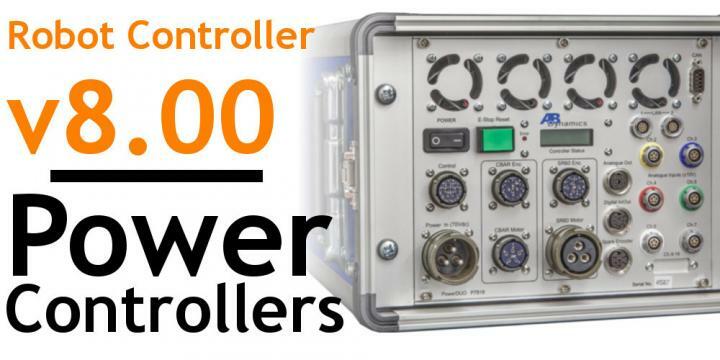 This major new release is the first version of RC to support the new PowerOmni and PowerDuo controllers and includes new NHTSA and EuroNCAP test groups. RC v8.00 is available to customers with current support contracts and will be shipped with new systems. RC v8.00 also includes support for our new Synchro Beam and Synchro HUD products. There are also new special test groups for EuroNCAP LSS and NHTSA DBS protocols. A new test group for the AEB protocol for Vulnerable Road Users has also been added. The PF Straight Line test now allows the user to travel either way along its path for increased testing efficiency when doing AEB testing. Compatible systems will begin shipping with Power controllers in Q4 2016.